Want to learn how to make Mexican white cheese sauce? Perhaps you want to make some authentic red sauce for your spaghetti? Here we’ve given you the information on Mexican sauces you’ll want to know. Mexican food is becoming more and more popular in the US with most local towns having at least one Mexican restaurant serving up a vast array of Mexican culinary specialties. As Mexican food becomes more accepted by main stream America, more people are trying out Mexican cooking for themselves. As anyone who knows anything about Mexican food will tell you, the secret to most Mexican food recipes lies in the sauce. 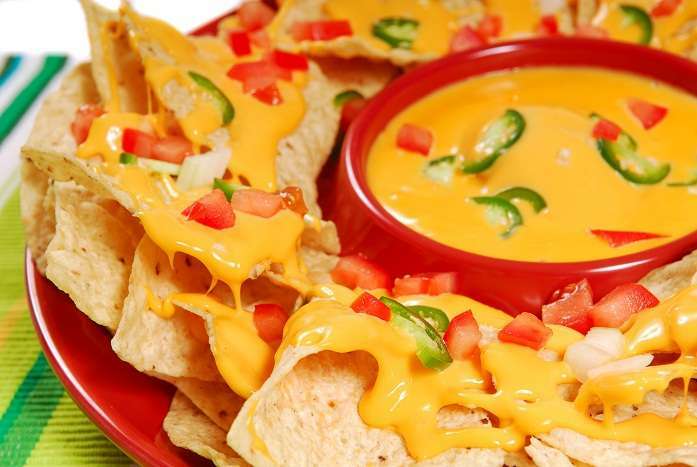 Whether it’s a mild and creamy white cheese sauce, or a red hot spicy sauce, Mexican food relies heavily on the use of sauces and in many ways the secret to creating a great Mexican dish lies in the ability to produce a good sauce. Many people who go on vacation to Mexico and eat Mexican food there are surprised to learn that the Mexican food in Mexico is often not the same as the Mexican food they have already eaten back in the States. In many cases there are dishes available in Mexico that you don’t get in the US, while many of the dishes with the same name also look very different in Mexico than they do in the US. One of the most famous Mexican foods to make it big north of the border Is the enchilada. You’ll find this dish served on any menu in any Mexican restaurant in the US or Mexico. An enchilada is made from a corn tortilla that is softened by heating it in oil briefly before being dipped in enchilada sauce. It is then stuffed with a variety of ingredients according to your choice. An enchilada can contain anything from vegetables to chicken to beans to eggs. Mexican enchilada sauce is spicy and makes heavy use of chili peppers which are grown locally in Mexico.